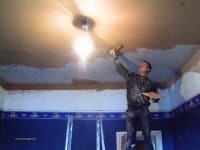 Local Wirral Plasterer with over 15 years experience. Excellent rates and reliable. Quality workmanship and guaranteed excellent results. Striving to give competitive prices without lowering the quality. Clean, tidy and trustworthy with plenty of satisfied customers.